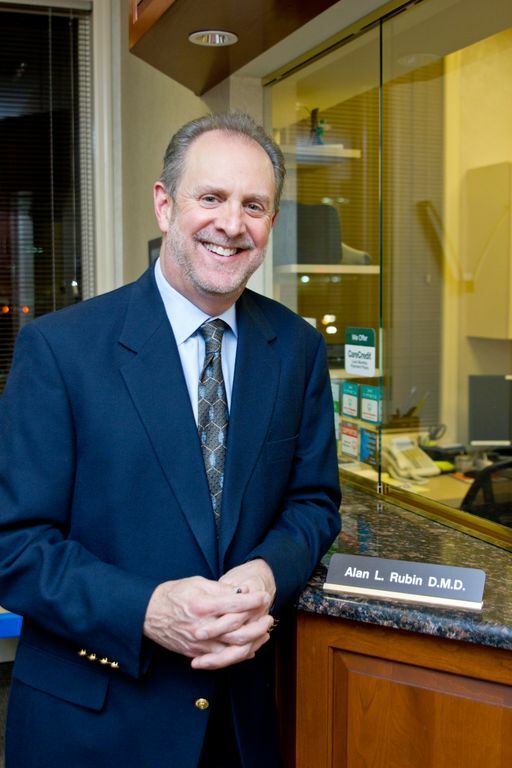 As a cosmetic dentist in Rochelle Park, NJ, Dr. Alan L. Rubin provides a wide variety of cosmetic dentistry services to Rochelle Park and the surrounding communities including Paramus, Hackensack, Maywood, Saddle Brook, and more. Some of Dr. Rubin’s services include veneers, crowns, bridges, and teeth whitening. At our Rochelle Park, NJ dental practice, we love seeing the way a healthy, beautiful smile changes the lives of our patients. We believe that smiling more often not only increases your self-confidence but also improves your overall well-being. Let us give you something to smile about. In the past decade, there has been a dramatic increase in the buzz surrounding the field of cosmetic dentistry. We all realize that having a bright, healthy smile enhances our appearance and allows us to smile with confidence. Thanks to advances in modern cosmetic dentistry, we are able to improve our teeth and smiles with quick, painless, and surprisingly affordable cosmetic dental treatments. Additionally, Dr. Rubin restores and places dental implants in Rochelle Park, NJ. An implant dentist can provide a stable, permanent solution to replace missing teeth. Dental implants are artificial roots and teeth that are surgically placed into the upper or lower jawbone by an implant dentist. Dental implants are very strong, stable, and durable. With proper care, they will last many years, but on occasion may need to be re-tightened or replaced because of normal wear. If you have any questions, concerns, or would like to schedule an appointment, please contact us today at (201) 843-2278. Our Rochelle Park, NJ cosmetic dentist looks forward to providing you with the personal care you deserve.